Compliment your home with one of our individually designed conservatories, allowing you to make the most of the outside whilst enjoying the benefits of the comfort inside. 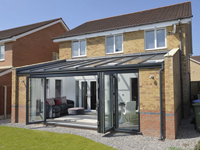 Whether it’s extra living space, or simply an extra an extra room to relax in with some natural lighting, any one of our conservatories will, without doubt enhance your home. 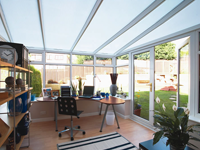 We control your conservatory build from design through to the completed installation, including planning applications if required. We ensure the creation of your dream living space is completed with a minimum of fuss. Conservatory designs are almost endless combing the Lean-to, Victorian, and Edwardian styles. 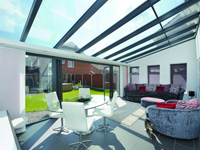 Either fully glazed or built onto a dwarf wall our conservatories are designed and built to suit your lifestyle.